As you may know, October is Breast Cancer Awareness Month. Did you know about 1 in 8 U.S. women (about 12.4%) will develop invasive breast cancer over the course of her lifetime? As of January 2018, there are more than 3.1 million women with a history of breast cancer in the U.S. This includes women currently being treated and women who have finished treatment. A woman’s risk of breast cancer nearly doubles if she has a first-degree relative (mother, sister, daughter) who has been diagnosed with breast cancer. Less than 15% of women who get breast cancer have a family member diagnosed with it. Those are some very scary stats — so please make sure you’re getting checked out annually! In the meantime, restaurants and bars all over Miami are featuring special menu items that donate proceeds to various breast cancer research groups and hospitals in the area. This October, in honor of National Breast Cancer Awareness Month, Fontainebleau Miami Beach has once again partnered with Sylvester Comprehensive Cancer Center at the University of Miami Health System, South Florida’s leader in breast cancer diagnosis, treatment and care, to host the tenth Bleau Goes Pink campaign. Starting October 1st and lasting through the month, the hotel transforms into Bleau Goes Pink by lighting the historic Chateau building in pink. The lighting which requires over 100 high-powered lighting fixtures will occur dusk to 10:00 p.m. each night throughout the month of October. In addition, three-course, prix-fixe dinner menus priced at $55 per person, excluding tax and gratuity, will be offered throughout October at StripSteak by Michael Mina, Scarpetta by Scott Conant and Hakkasan. Each menu will include an appetizer, entrée, dessert and a glass of rosé. For every dinner ordered, five dollars will be donated to Sylvester Comprehensive Cancer Center. Brimstone Woodfire Grill is going pink for Breast Cancer Awareness Month by hosting a cooking class on Thursday, October 11th from 6pm to 8:30pm. Participants will learn from Brimstone's head chef, Julio Martinez, on how to make a healthy three-course meal in collaboration with Baptist Health. 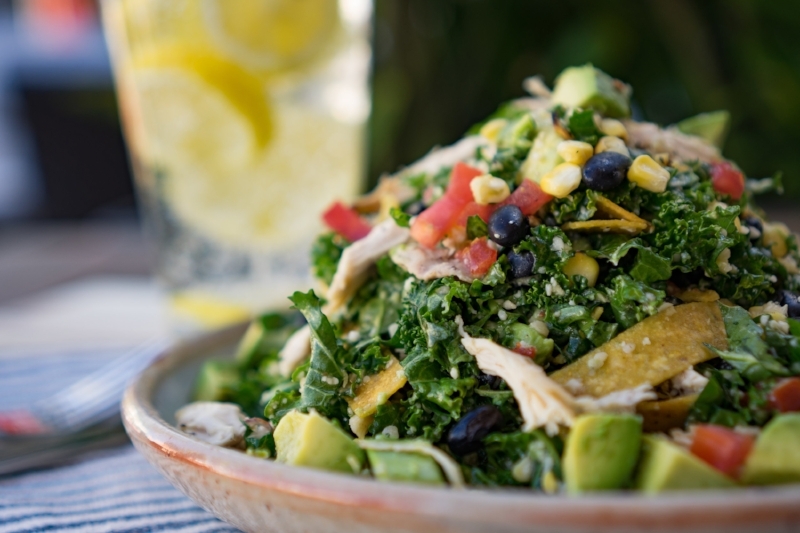 The menu items include Brimstone’s famous BRG Kale + Chicken Salad, Ratatouille Lentil Penne, and a Berry Compote. A certified nutritionist will also be on site to answer any questions about the ingredients. Tickets are $20 with proceeds from the event benefiting Breast Cancer research as part of the Shops of Pembroke Pines' Get Your Pink On Initiative. They can be purchased here. Show your support with La Petite Maison’s new dessert! In support of Susan G. Komen, La Petite Maison will offer a special dessert, Buttermilk Panna Cotta with Poached Raspberries, throughout the month of October. All revenue generated from the dessert ($11.50) will directly benefit Komen’s efforts. October is a month of remembrance and awareness for breast cancer. So what better way to spread awareness than to gather Malibu Farm and give back. Locals and tourists alike can enjoy oceanfront views and Malibu Farm's refreshing B&B Pink Cocktail made with fresh blackberries, basil, Tito’s Vodka and Sōtō Sake. The cocktail will be offered the entire month of October for $16, with $1 from every cocktail going to Susan G. Komen, empowering guests to give back and help fight for a cure. For the month of October, Planta South Beach will #ThinkPink with a special Strawberry Cheesecake soft serve and October Roses cocktail - made with vodka, raspberries, lemon, aquafaba, and rose water - with 20% of each sale going to Susan G. Komen, which strives to reduce the current number of breast cancer deaths by 50% in the U.S. by 2026. Enjoy some cocktails and help the cause at the same time! Bodega will be offering specials at their Wynwood and South Beach locations throughout the month of October. 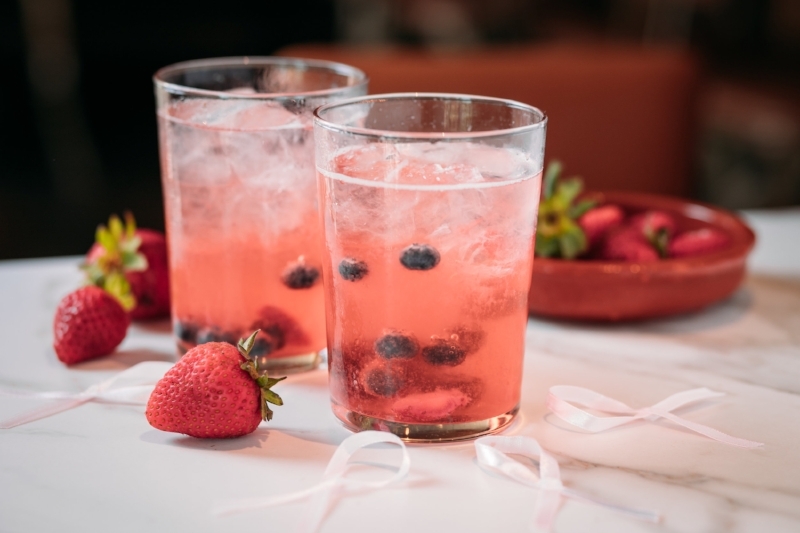 Bodega Wynwood will have a Pink Guava Jarrito Soda ($3) and Bodega South Beach will provide a complimentary Pink Tequila Shot for ladies during Happy Hour as well as a Pink Watermelon Margarita ($9). In honor of Breast Cancer Awareness month, Bulla Gastrobar will be offering a limited edition Rosé Sangria for the month of October. Guests will be able to indulge in delicious Spanish tapas like the Huevos Bulla and Patatas Bravas and pair it with the Rosé Sangria. Bulla will be donating $1 per sale to breast cancer research. In support of the Glam-A-THON™, famed Iron Chef and Food Network Chopped judge, Geoffrey Zakarian, invites guests to celebrate stone crab season with the second annual “Stone Crabs for a Cause” on October 19th at Point Royal. Zakarian will serve as host for the evening, curating a four-course dinner that highlights one of Florida’s most beloved seasonal seafoods - stone crabs. Open to the public for $125 per person, a portion of proceeds from the event will be donated to Glam-A-THON™, which has raised more than $500,000 over the past six years to help fund free mammograms, diagnostic testing and other needs associated with treatment through the Broward Health Foundation’s Lillian S. Wells Women’s Health Center. Ticket link. Limited Edition "Pretty in Pink" Milkshake at Sugar Factory American Brasserie. $1 of each milkshake sold will be donated to the Susan G. Komen Foundation. COYO Taco is going pink for October with their special pink taco! Every Tuesday during the month of October, COYO's signature Pollo Al Carbon taco will get pretty in pink thanks to its special pink tortilla made with natural beet juice (no artificial chemicals or preservatives). Priced at $7.50, 30% from the Pollo Al Carbon taco will be donated to Susan G. Komen. This special taco is only available in the Wynwood and Brickell locations. In honor of Breast Cancer Awareness Month, The Grill on the Alley will be serving the Ruby Red Lemondrop, a pink-hued, grapefruit martini with Absolut Ruby Red vodka, freshly squeezed grapefruit juice, lime juice, triple sec and simple syrup, served with a fresh lemon garnish. The restaurant will be donating $1 for every drink sold to benefit breast cancer research. We’ll drink to that! The Seminole Hard Rock Hotel & Casino is celebrating PINKTOBER in support of Breast Cancer Awareness with various offerings throughout all of its food & beverage outlets. Throughout the month of October, guests support the cause by indulging in PINK drinks, desserts and dishes where $1 of each item at point of sale will benefit the American Cancer Society. Pink drink specials include a Pink-ish Punch available at L Bar and a Watermelon Moscow Mule at the Beach Bar. Desserts and dishes include the Seared Salmon Sashimi at Kuro and Raspberry Lemon Macarons available at Constant Grind and for In-Room Dining.